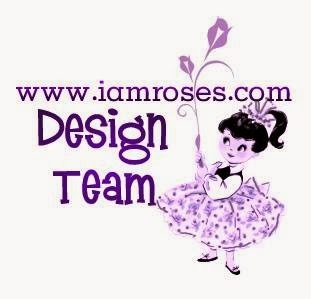 I'm just popping in to let you know that I got the opportunity to be part of the talanted I am roses design team. Happy, happy!!!! 2014 is going to be an AMAZING year! We hope that you will join us in our monthly challenges for your chance to win some gorgeous flowers. Check here on January 1st for our first of the year IAR Challenge to kick off 2014! Čestitam, komaj čakam na nov izziv.